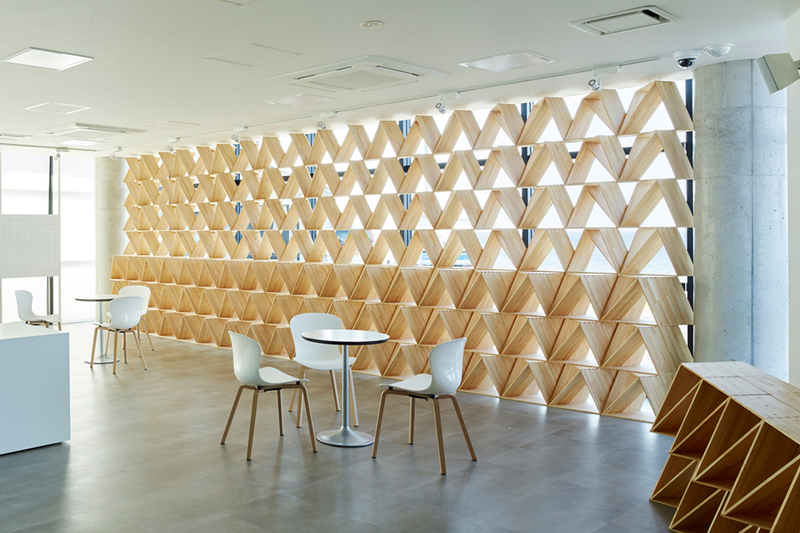 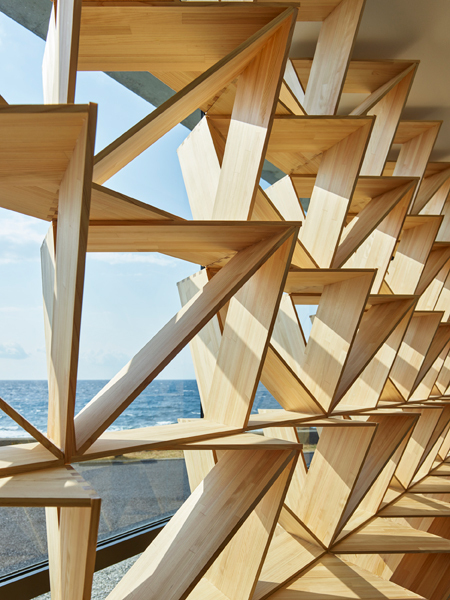 Trus(s)tool Wall is a transformable modular furniture set in Muroto Whale Museum at Kochi prefecture. 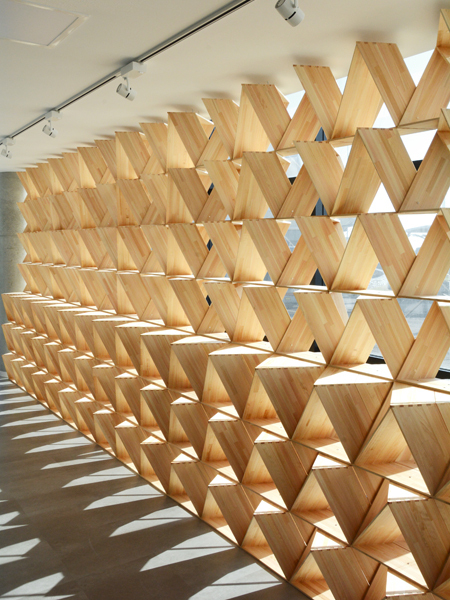 This display showcase is an assembly of modular units named Truss Stool, and works also as a screen to prevent direct sunlight to the space. 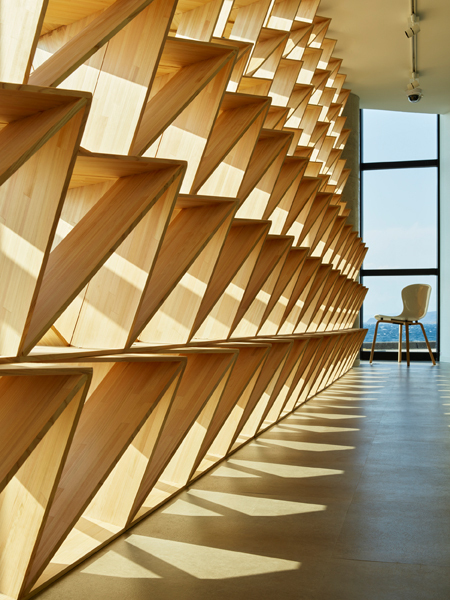 The stool units are made by Hinoki cypress from the region which has the characteristic of high content of oils providing high elasticity in the material. 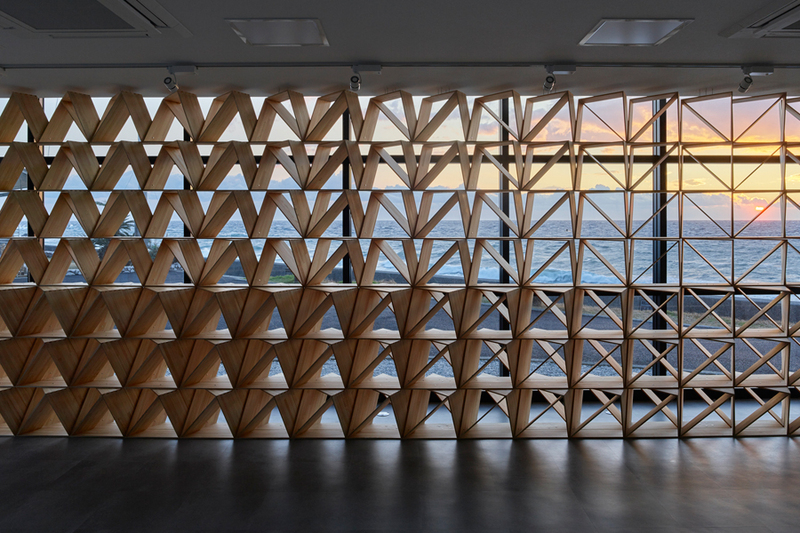 Assembly of the small cells forms a three dimensional truss wall which obtains a strong structural stability. 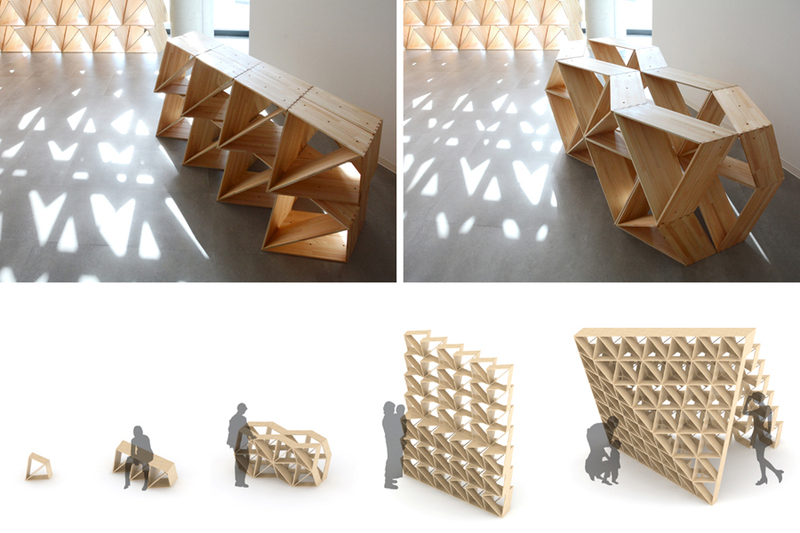 Simple pin connection detail allows units to follow elastic deformations in time, and to transform its composition and shape flexibly by different uses as bench, table, and counter etc. 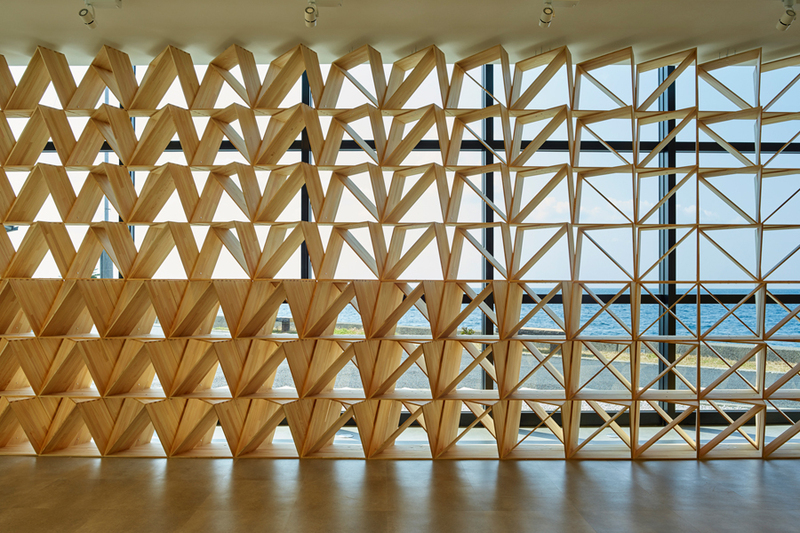 The cellar structure provides spatial diversity with minimum discipline and metabolizes its own body for continuous adaptation to surrounding environments and its uses. 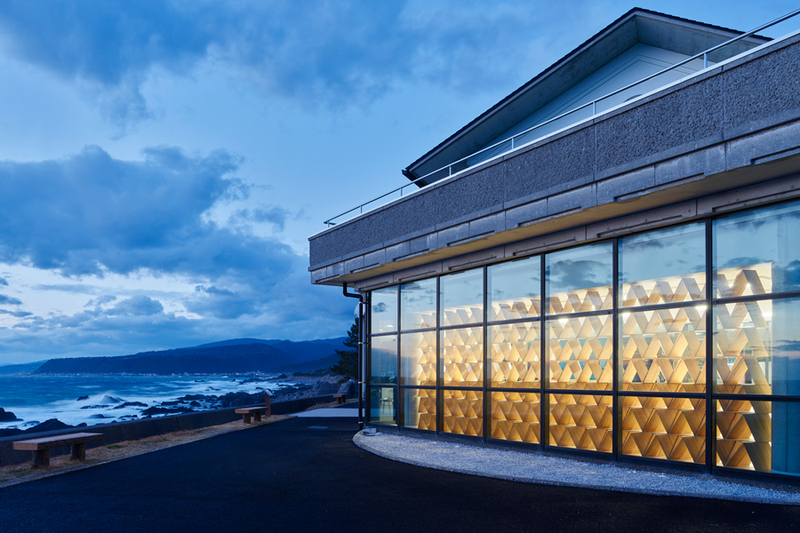 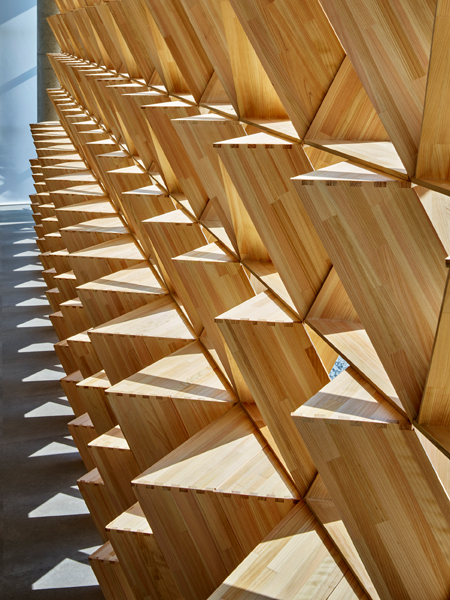 When the surface of Pacific Ocean glistened in the sun, the light and shadow overlays on to the porous cypress wall and creates phenomenal illusion that the space merges into the peripheral environment and scenery.